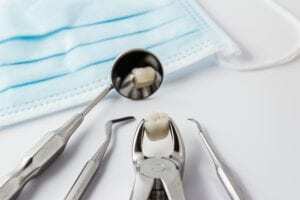 A common misconception about root canals is they are mostly done in an emergency. This is true in some cases, but most of the time a root canal is scheduled early when certain symptoms arise. No patient in San Francisco wants to get a root canal. However, the process is routine for an experienced dentist like Dr. Skoulas, and patients can get back to living their normal life with a beautiful smile in no time. Here are a few signs to look out for that may prompt the need for a root canal. Tenderness in the gums can occur for many different reasons and doesn’t always mean a root canal is imminent. However, if gum tenderness is persistent and accompanied by other issues, it may be time to call a dentist in San Francisco. The tenderness could be the result of a tooth infection, which needs to be addressed immediately to prevent further issues. Tooth sensitivity happens to everyone occasionally when consuming hot or cold items. If the teeth remain sensitive for an extended amount of time, it could be a sign a root canal is needed. It’s difficult to self-diagnose tooth sensitivity, so visiting Dr. Skoulas will determine the appropriate course of action to help maintain strong teeth. People in San Francisco shouldn’t have any discomfort when chewing common foods. A persistent toothache when chewing is a sign that there’s a problem with that particular tooth, and a call to Dr. Skoulas is necessary. A root canal isn’t always the solution, but the longer a patient waits to call, the more likely it will be required. Almost everyone in San Francisco will experience discolored teeth over time. It happens with age and depends on the foods and drinks consumed, as well as overall dental hygiene habits. If a single tooth becomes more discolored than the rest, it could be a sign there’s an issue with the pulp of that particular tooth. Most of the time the best course of action is to get a root canal to fix any problems and restore the tooth’s natural shine. While it’s normal to see pimples on the skin, it’s not normal to see them on the gums. In fact, this is a sign there’s some sort of infection with the tooth. It’s important to call Dr. Skoulas right away when these pimples become visible and allow her to evaluate them. The pimples could be a warning sign of a larger dental problem, but a root canal can be an effective solution to ensure the teeth remain strong and healthy. Skoulas, DDS is here to help with any dental concerns San Francisco patients may have. People should feel comfortable with their teeth, both physically and aesthetically, and Dr. Skoulas strives to create an individualized plan for every patient to help them achieve their dental goals. When you contact our friendly staff, you will be greeted with a smile, and we will ensure you are comfortable in our office. Never hesitate to call us at (415) 757-0110 if you have any concerns with your dental health and we will be happy to help you.